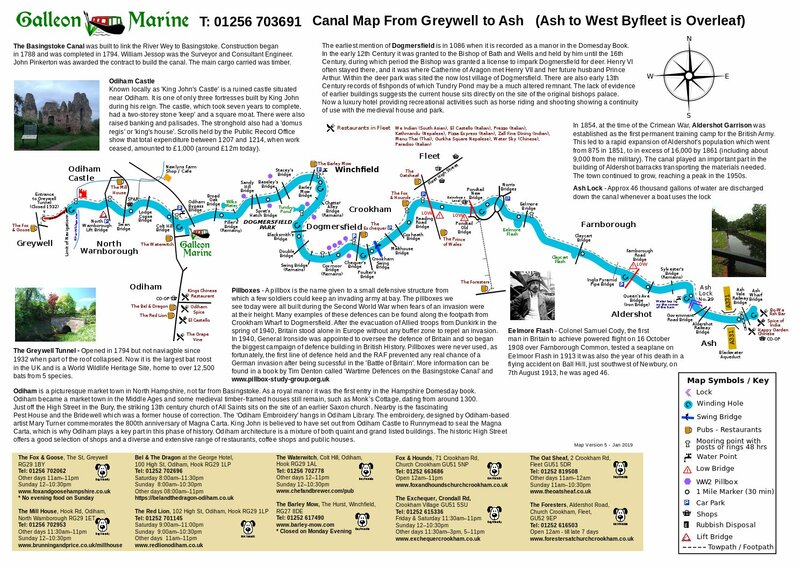 Welcome to Galleon Marine Narrowboat Holiday Hire. 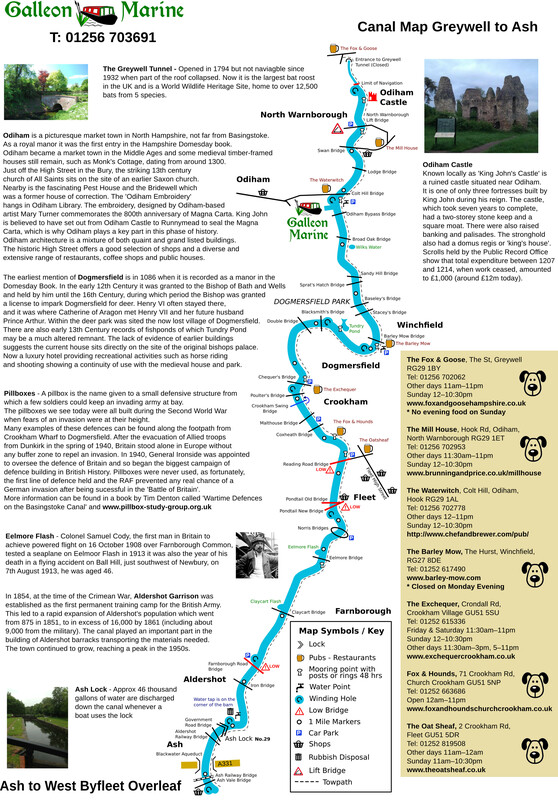 We provide narrowboat short breaks and week holidays. 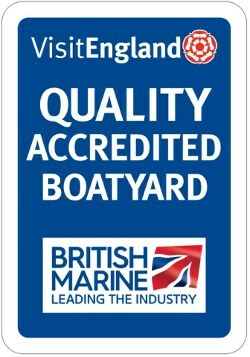 We also provide boat services. We are; Arthur & Karen. Click on our names to find out a little more about us. 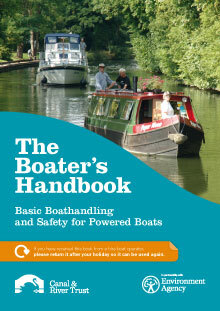 If you know someone who enjoys the water, why not give them the gift of boating. Our narrowboat gift vouchers can be used against any type of boating that we offer; kayaking, rowing, canoeing and narrowboat day hire or holiday hire. The Boats are comfortable with everything you need to enjoy your break. 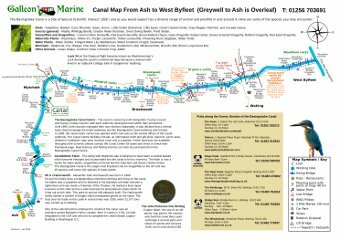 Surrey and Hampshire’s beautiful Basingstoke canal is very quiet with none of the problems you sometimes encounter on busier canals. On short breaks you only have to negotiate one lock. We are located approximately 30 miles South West of London and 30 miles North of the South Coast. If you travel by train we are on a direct rail route from Waterloo to Hook (40 mins). There is a Tesco supermarket next to Hook station where you can get supplies and call a taxi from to get to the boatyard (about 8 mins away). Leave the stress of the city behind – come and enjoy a peaceful, relaxing break with us.. Decide which of our boats suits your needs, holiday duration and the date of your holiday. Use our Enquiry Form or call +44 (0) 1256 703691 to check availability and make your provisional booking. We can take your booking over the phone and accept payment by credit card. We will confirm your booking in writing once your deposit has been paid and let you know how much the balance is and when to pay it by. We provide you with full tuition regarding boat handling and safety and we stay with you until you're comfortable with the steering, stopping. mooring and turning (winding) the narrowboat. We will also show you the other facilities on board such as the central heating, gas and water, so you won't have any surprises along the way. There are many good pubs along the way to break up your journey. There are many attractions along the canal; from King John's Castle at Odiham, the Rowhill Nature Reserve in Aldershot, Aldershot Military Museum, Farnborough Air Sciences Trust, crazy golf, bowling, laserquest, Mizens miniature railway to name but a few. 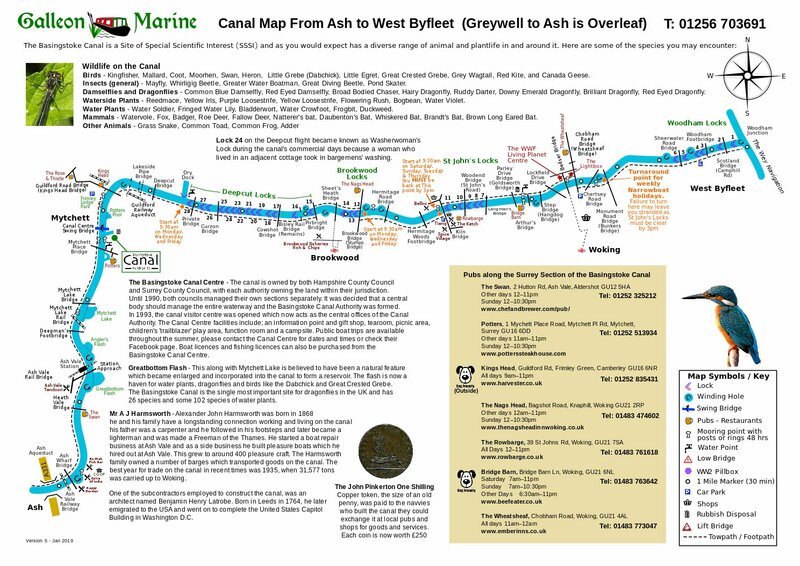 If you feel like taking a walk along the canal from Ash Vale towards Woking there are a few options available, both make use of the frequent train service which is available on this section of the canal. Ash Vale to Brookwood = 6.5 mile walk (2 to 2.5 hours). Train to or from Brookwood every half hour Adult Fare is around £3.70 Train journey takes 8 minutes. 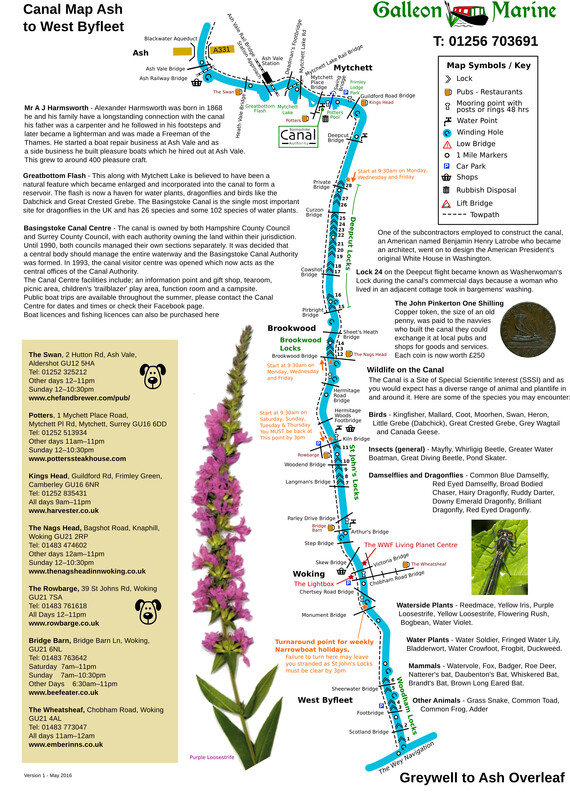 Ash Vale to Woking = 11 mile walk (3 to 3.5 hours). Train to or from Woking every half hour Adult Fare is around £5.20 Train journey takes 14 minutes.